The next Seth-Smith / Hamilton family reunion will be held on 6th-7th July 2019, in Lymington, England. Lymington is on the South coast, at the bottom of the New Forest. If you're driving, the road from M27 turn off 1 down to Lyndhurst can get very slow in summer. It's worth taking M27 turn off 2 and driving via Beaulieu. You get the added attraction of seeing the donkeys and ponies. On Saturday we will meet at the Royal Lymington Yacht Club, which is off the big car park at the South East end of Bath Road. Beware of the parking charges in the car park. They continue up to 10pm. We'll meet from 5pm, with dinner at 7pm. There will be signs to say where the reunion is taking place within the club. There's parking behind M & S, which is on the South side of the street, near to the surgery. Lymington has a thriving market on Saturday which takes up the whole of the High Street, so it's worth arriving early if you like that sort of thing. 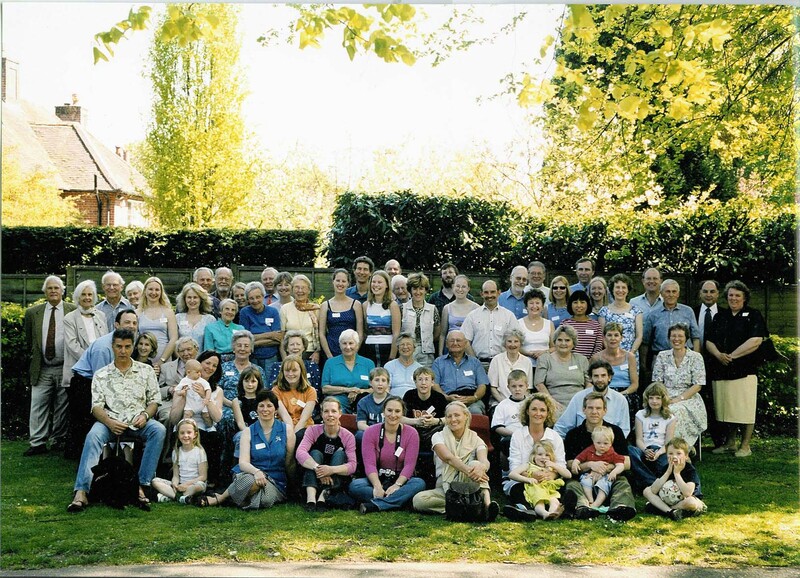 The last Seth-Smith family reunion was held on 12th May 2001, in Harpenden, England. It was organised by Naomi Shaw (nee Seth-Smith) and was a wonderful success! Please click here or on the photograph for a bigger picture of the event.